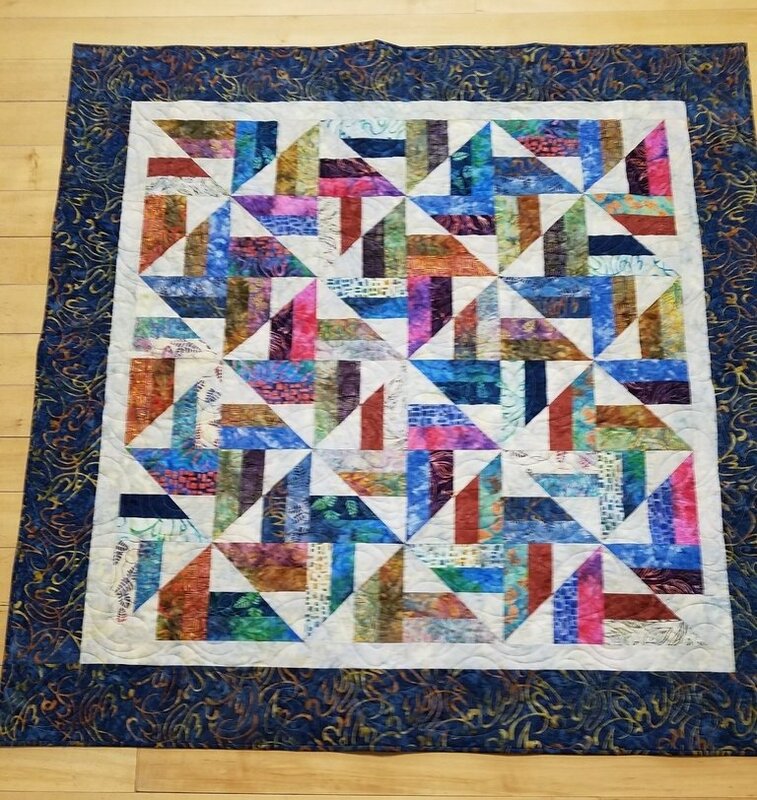 A North Country Trail Batik Jelly Roll By Holly Taylor for Moda along with Island batiks are used to make this Pinwheel Pirouette Twin size 64 x 80 quilt top. Batiks to complete the quilt top and binding are included. Book can be found in the Strip Clubbing book by Cozy Quilt Designs, Pinwheel Pirouette page 17. BOOK NOT INCLUDED.